Keurig Green Mountain Inc. will be paying $5.8 million for not immediately reporting a safety defect in one of its coffee brewers to federal safety officials, as required by law. The U.S. Consumer Product Safety Commission (CPSC) said the penalty settles charges that Keurig was tardy in reporting a defect and unreasonable risk of serious injury with the Keurig MINI Plus Brewing Systems. But three members of the five-member commission said they voted "reluctantly" to approve the penalty, the second highest in the agency's history, saying it was too small to have much of an impact. "We have serious reservations about whether the amount will have any meaningful deterrent effect on Keurig or other multi‐billion dollar companies who are well‐positioned to dismiss this size penalty as a small cost of doing business," said commissioners Robert S. Adler, Elliot F. Kaye and Marietta S. Robinson in a joint statement. The three noted that Keurig is a "$4.5 billion business with over 6,000 employees," easily able to pay a few million dollars. They blamed "restrictive and cumbersome" regulations for preventing them from making further assessments of Keurig's delays. The company conceded that between 2010 and 2014, it received about 200 reports of hot water, coffee, and coffee grounds spraying out of the brewers. In more than 100 of these incidents, consumers suffered burn-related injuries to their faces, hands, and bodies. Some of the injuries were severe and resulted in second and third-degree burns. 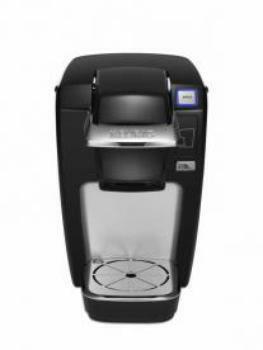 Keurig finally recalled about 6.6 million of the MINI Plus brewers in December 2014. The dissenting commissioners noted that one of every two consumers who complained to Keurig about the problem beginning in 2009 had suffered injuries, some severe, a rate they called "alarming." It wasn't until November 25, 2014, that Keurig "informed the commission about a problem with the brewers but continued to import and sell them into December," they said. "Unfortunately, we are not at liberty to provide any more specificity regarding Keurig’s violation of the reporting requirement because the restrictive and cumbersome information disclosure provisions in section 6(b) of the Consumer Product Safety Act prohibit us or anyone else at the agency from disclosing any facts beyond those set forth in the negotiated Settlement Agreement," the commissioners said. They noted that "companies continue to strongly resist staff efforts to better inform the public by including more detail about the alleged violative conduct in the civil penalty agreements." Keurig did not provide an immediate response.